Drag-and-drop tools allow developers to assemble applications without the need for manual programming. Here's how companies such as Shell Downstream, 7-Eleven and John Hancock are putting low-code development to work. 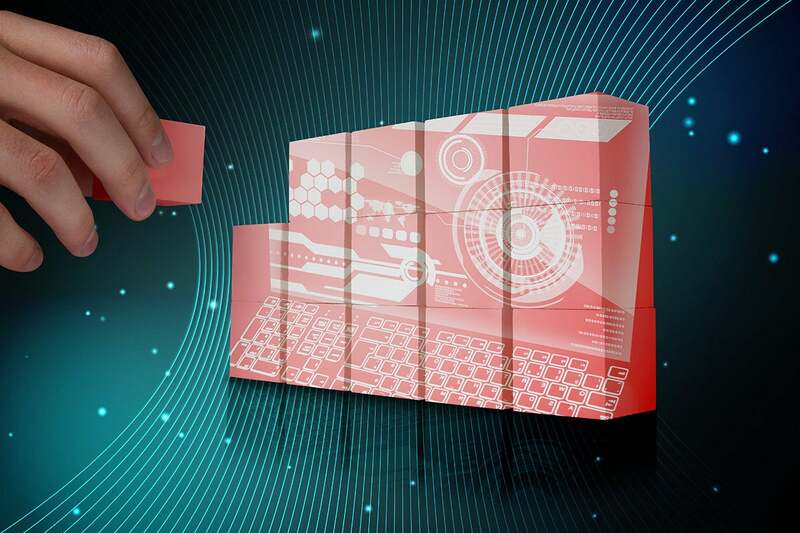 The trend of enterprises swapping traditional software development approaches in favor of agile and DevOps, which enable programmers to quickly build and continuously upgrade software in coding sprints, is widespread. But these approaches aren’t the only options CIOs have at their disposal to fuel faster application creation. 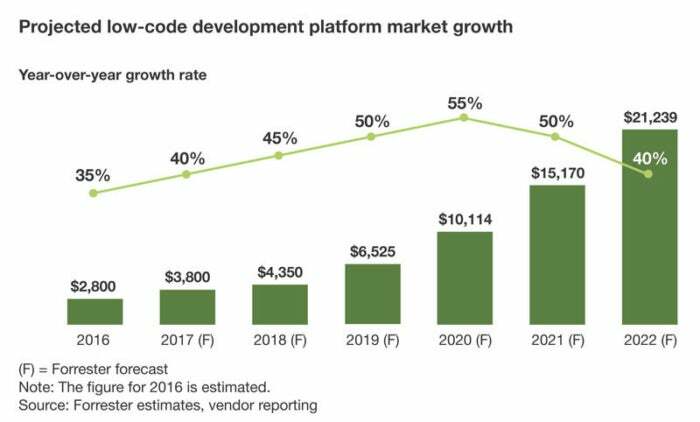 The total market for low-code development platforms, offered by vendors such as Salesforce.com, Appian, Mendix and others, will hit $21.2 billion by 2022, growing at a compound annual growth rate of 40 percent, according to a vendor report Forrester published in November 2017. The time savings associated with low-code development is potentially significant for companies trying to release software before their competitors. For example, 31 percent of application developers Forrester surveyed cited challenges in meeting business requirements in time as a result of using traditional coding with programming languages, frameworks and middleware to build bespoke applications. Technology managers discussed the virtues of low code in their software delivery efforts with CIO.com. "I can drag and drop a few things and someone can look at that data and say, 'Wow, that tells me something I didn't know,'" says Walker, adding that his team uses low code to build customer portals and other digital services for the company's mergers and acquisitions, retail, human resources and sales and marketing units. 7-Eleven turned to low code to supply product pricing information to regional managers who visit as many as 10 stores a day. The convenience store retailer, which operates 10,000 retail locations in the U.S., constructed a field price optimization app that enables its regional managers to access pertinent sales, says Paul McCollum, a 7-Eleven technology officer. The managers, who access the data from laptops, tablets or smartphones, can then work with the franchisees to bolster sales and improve product placement in stores. McCollum says low code allowed him to mimic a lot of enterprise-grade functionality for the app, which replaced a cumbersome Excel spreadsheet. Also, when a manager notices incorrect pricing information, he or she can click a button to send a report to a store notifying them to update their pricing. "The low-code component is that fact that I wrote it in four days," McCollum tells CIO.com. "That's where we're headed — to put more technology in their hand." The IT staff at John Hancock consolidated customer data from several systems, facilitated a major master data management clean-up, and moved operations onto Salesforce.com. From there, the team began leveraging low code to infuse "customer centricity" into its digital transformation, according to Len van Greuning, vice president and technology officer for the company. Van Greuning used the platform's pre-defined data and cybersecurity models to allow non-developers to configure the environment while keeping it "as standard as possible." For example, screen workflows in the firm's call centers enable staff to easily capture and access customer data in Salesforce.com. The company also created a digital service that allows customers to upload scanned copies of insurance claims into Salesforce.com, automating a task that previously forced clients to send receipts by FAX. The event company built optical turnstiles equipped with sensors that monitor foot traffic coming both in and out of the gates. Using REST calls to pull the data into a new app, Solomon Group was able to visualize the data, charting attendee throughput per hour. In Leyla Seka's mind, Salesforce.com has spent the past 20 years building toward this moment: Leveraging low-code and cloud tools to deliver easy-to-build customer relationship management (CRM) applications for mobile devices. Seka, executive vice president and head of Salesforce.com's mobile team, says there is a huge talent crunch for developers who can build elegant mobile apps that look and run like apps consumers use in their daily lives. "These people are hard to get," Seka tells CIO.com. Petracek advises CIOs to find out where developers are using low code in their companies, ask them why and what business problem they are trying to solve and support them with a governance framework for managing such workflows. "It's happening already, and if you don't know about it go find out where," Petracek says. While it appears low code is gaining traction, rigorous coding isn't going anywhere, says van Greuning, of John Hancock. "Low code is fantastic in areas where you have commodity services," van Greuning says. "There's still a narrow space where you want to differentiate, where you need strong engineering, and that will never go away. But at least you can spend the right dollars than rather than on things that you can get off the shelf." This story, "What is low-code development? A Lego-like approach to building software" was originally published by CIO.